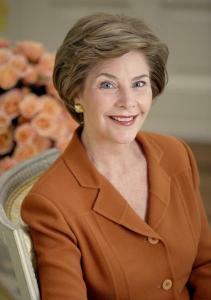 Laura Bush is a self-described turtle (introverted type). At the 2005 White House Correspondents’ dinner, the former first lady said, “George and I are complete opposites. I’m quiet, he’s talkative. I’m introverted, he’s extroverted. I can pronounce nuclear [laughter]… I was a librarian who spent 12 hours a day in the library. yet, somehow, I met George.” Turtles are inwardly focused, idea-oriented, and guided by internal values. They enjoy solitude, must understand life in order to live it, and prefer to think before acting. They say, “never take down a fence until you know why it was put up.” Like many turtles, Laura Bush is sociable and loves people. I think I’m a turtle-puppy.